The next day we visited Heidelberg Castle followed by a visit to the town of Heidelberg. The castle was very interesting as it had once been left idle for decades but had since had a lot of restoration work, some of which was still on-going. 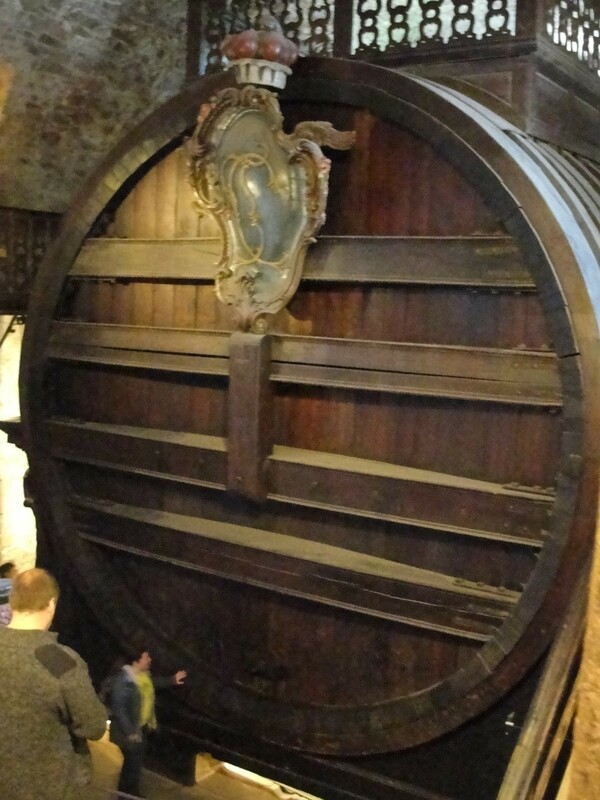 It houses the world’s largest wine cask – large enough to have once had dance parties on top of it! – though it hasn’t held wine in many years. The university town of Heidelberg was a study in contrasts as it had the youth of the university surrounded by buildings dating back five centuries. Later that afternoon we docked in Speyer and took a stroll into town where we got to visit the incredible Kaiserdom, an 11th century cathedral that’s another UNESCO World Heritage Site. Sadly, many of the other sites in town were closed since it was Easter Monday, which is part of the holiday weekend in Europe. 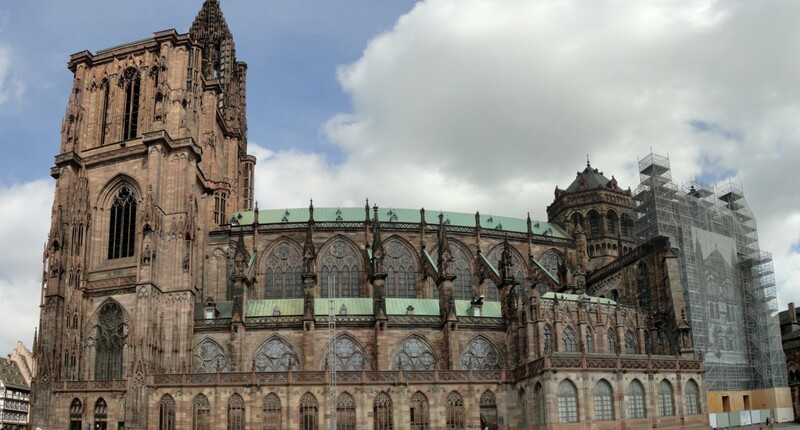 On Tuesday we visited Strasbourg, wandering its streets and visiting yet another gorgeous, massive cathedral. Some of our group took an optional tour of an Alsatian winery and brought back a few bottles to share. Our final day of the cruise took us into the Black Forest where we saw rolling hills and stopped in a tiny town that had once been a place where carriages stopped. The inn there was painted with a mural of Marie Antoinette, one of the more famous guests. There was a cuckoo clock shop as well as a shop selling blown glass items. In the afternoon there was an optional tour of the medieval city of Colmar, France. We had a delightful guide and enjoyed the architecture differences that he pointed out from various eras.